Summit Crane is one of the leading providers of cranes in Northern and Central California. Summit Crane specializes in rigging with up-most safety with all employees having rigging certification. Welcome to Summit Crane, Inc. 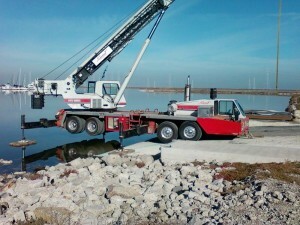 Summit Crane, Inc. is one of the leading providers of cranes in Northern and Central California. We offer crane rentals, hauling and rigging services. If you’re in need of heavy-duty equipment for lifting, transporting or rigging, do not hesitate to give us a call. Our staff is trained to assist you with anything you might need and certified operators and riggers will be on-site to meet your lifting needs. Here at summit crane, we are licensed, bonded and insured for your protection. Our number one priority is your safety around the equipment we provide, and that is why we provide personalized attention to keeping our equipment well maintained and ready for any challenge.